When I was young I was described as independent and my juvenile mind took the definition and went overboard with it. 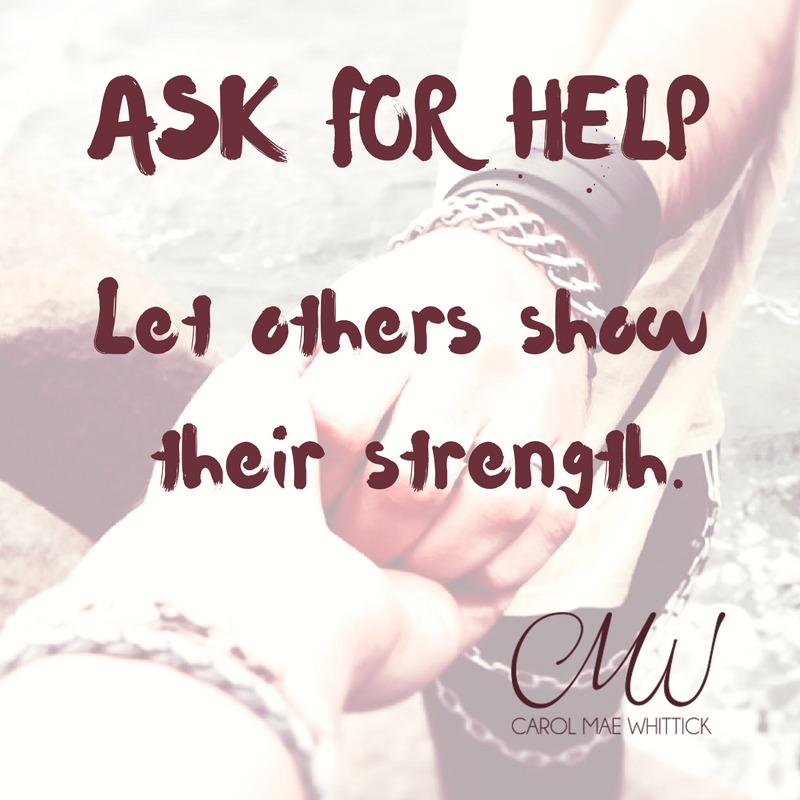 I took it as needing to do everything myself and decided wrongly that needing assistance was a sign of weakness. Over the years even when my challenges became increasingly tough I would still attempt to muddle through on my own until I had exhausted all options and then I would reach out but I would mostly be met with rejection and then still have to work it out for myself. What I learned is that I had not mastered the skill of asking and as a result after spending so much time building myself up to ask, I would ask the wrong person and then have to deal with the humiliation and hurt. I took it personally, clearly people did not want to help me and it was a show of real strength to get things done solo. I watched in amazement the progress that others made when they were helped and as much as I wanted the same for myself, I could feel construction in my throat and body when it came to speak up. The fear of rejection outweighed my needs. Now I see my errors. I am denying people (the right people) the opportunity to give and also not acknowledging myself. Sometimes I need to take a break and let others show their strength.